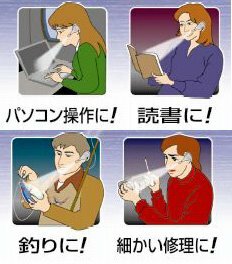 Reading in the dark screwing up your eyes? 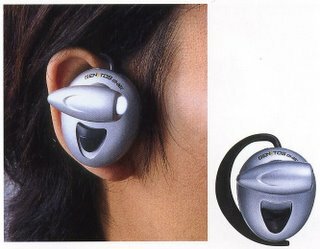 With The Ear Light, you can attach a powerful LED to your ear, kind of like a Bluetooth headset, and illuminate whatever it is you need illuminating in the wee hours of the morning. It’s only 18grams, so presumably you won’t even know it’s there. There isn’t a whole lot more to this, aside from the fact that it’s made by a strange sounding company: Saint Gentleman Co.Ltd, in Japan, and appears to cost a puny $10. File this under novelty. what about a NOSE LIGHT? Cool peice. Saintly Gentlemen at work! You know, I’m sure this is exactly how the Borg got started. Look at those folks in the drawings. They look like preliminary Borg people.